Finally, a new House Update: Leave Edition. Just as a reminder, here is where I last left off. So while we were on leave, my main job was taking care of the baby, while Ryan's was keeping me fed, and lots and lots of house projects. 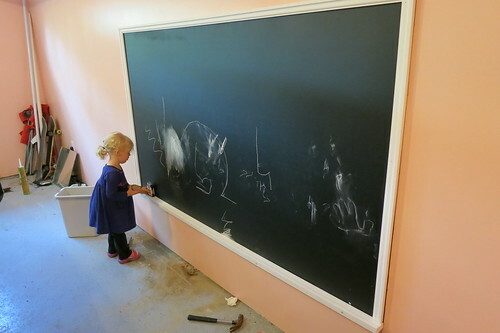 Here is photographic evidence of some of the stuff he accomplished in our 10 weeks at home. 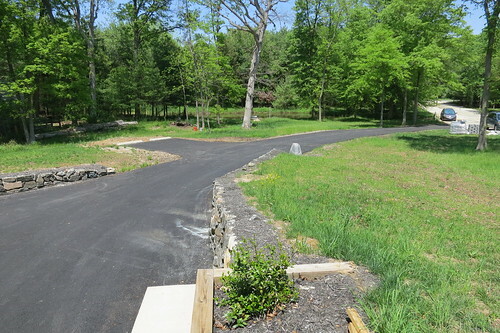 First up, our driveway. 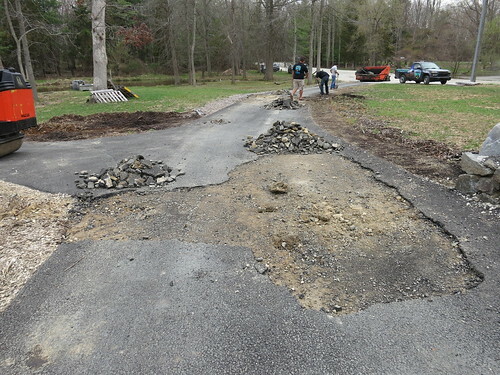 We originally had this section paved about a year ago, and it very quickly started breaking up due to a base failure. 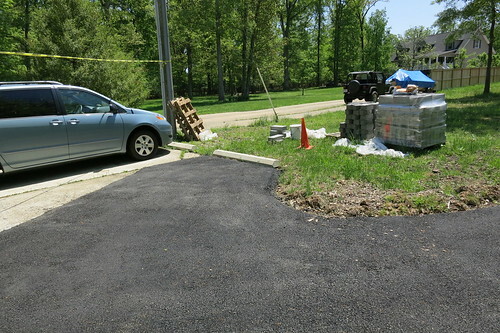 We finally made it through the winter and were able to get it repaved (and expanded), which was not without its own challenges, as apparently marine clay does very unpleasant things to asphalt. 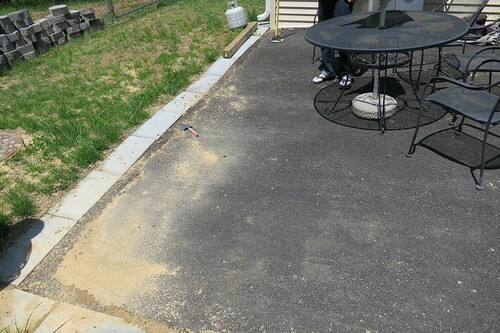 So they had brought enough material to redo a normal driveway, but that was only able to cover a fraction of ours... and ours was like walking on a moonbounce by the end of the first day, as it sucked up all the moisture from the ground and basically started floating above the base. So with many, many more inches of asphalt put down the second day, we're in good shape now. 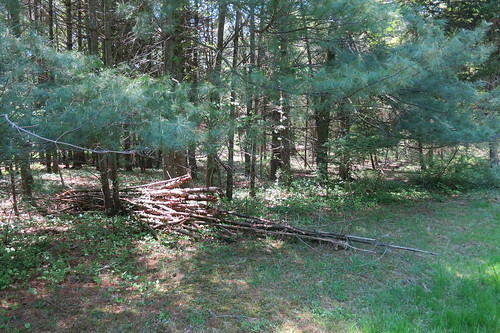 The pile of stuff in the preceding picture ended up being a project unto itself too. 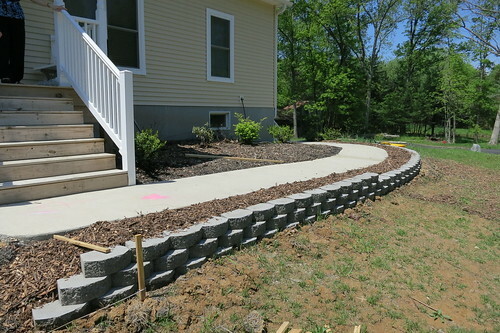 It took several days and many, many trips back and forth with the tractor and trailer for Ryan to move all of the pavers and cinderblocks and other heavy stuff to their new homes. 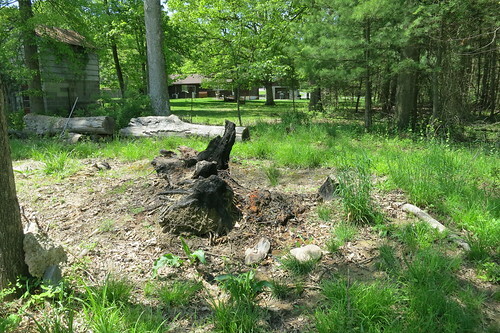 Ryan also did a lot of cleanup throughout the yard - moving some of the dead trees and fallen branches from the woods up front, and still plugging away on trying to get the giant stump to burn down. 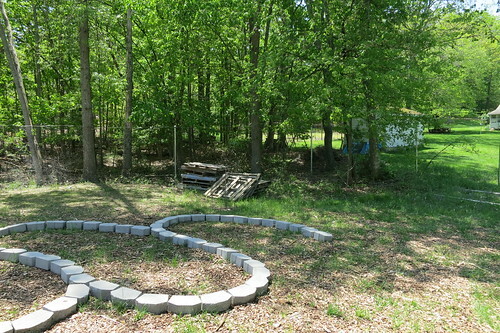 The biggest project by far was the garden. 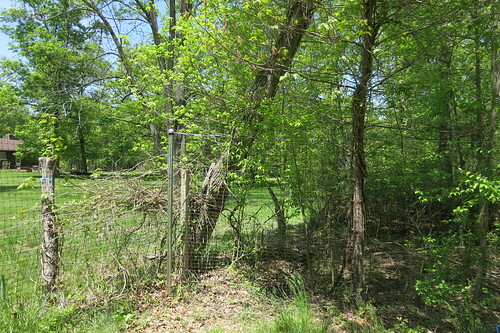 Ryan built a fence (that has so far successfully kept the deer out - yay! 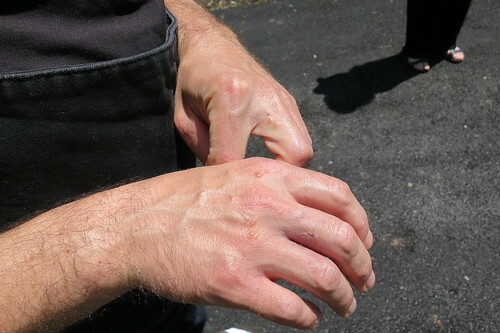 ), and has been doing battle with poison ivy as he's working to clear some of the brush along the edges of the garden. 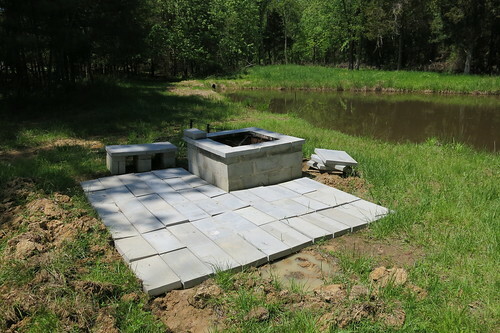 We tested out a design for the raised beds, although the design we went with (that he is still diligently working on building) is a little different. 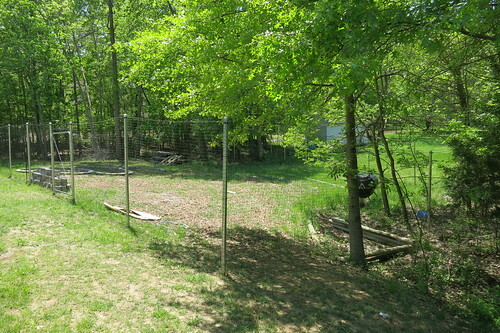 Besides the Earth Day peach tree, we don't have any plans to plant anything this year, and instead we'll be working on improving the soil so that hopefully we can plant next spring.